Do you know how long it has been since I've created anything? A very long time. I enjoy crafting, I enjoy sewing, but lately my passion for writing has superseded any time for hands-on craft. Maybe the craft bug will return, but with 24 hours in a day and two kids to look after, the time that I do have, is used to play with words rather than materials. It's all good folks, I'm in a happy place. Sometimes though, a craft challenge comes along, one that's right up my alley, and I have to take that challenge because if I don't, I'll regret it. 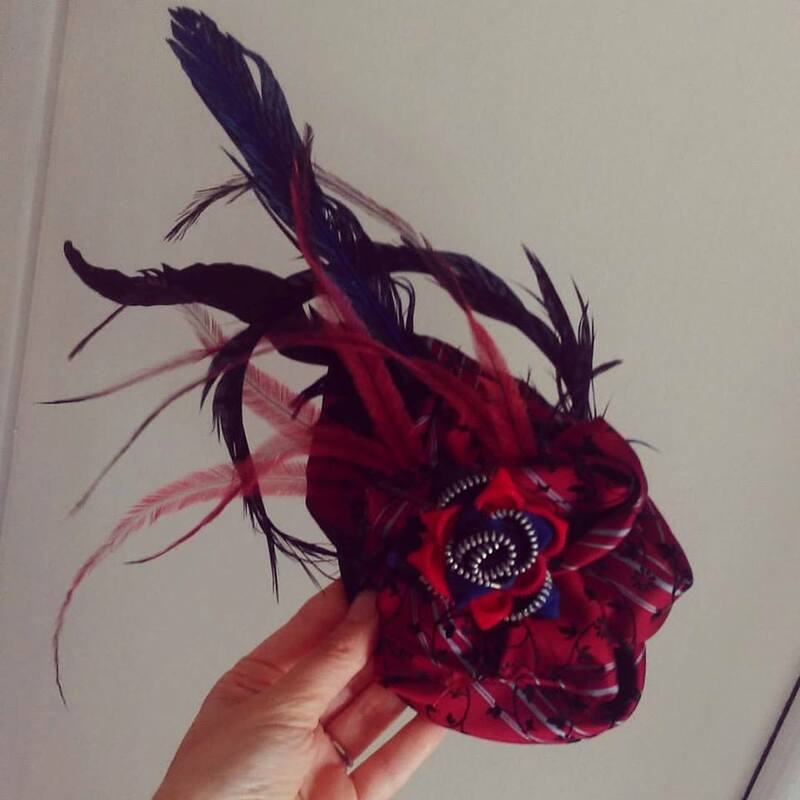 Vinnies contacted me a month ago, and asked if I'd be interested in making a headwear piece, inspired by Melbourne's Spring Racing Carnival. 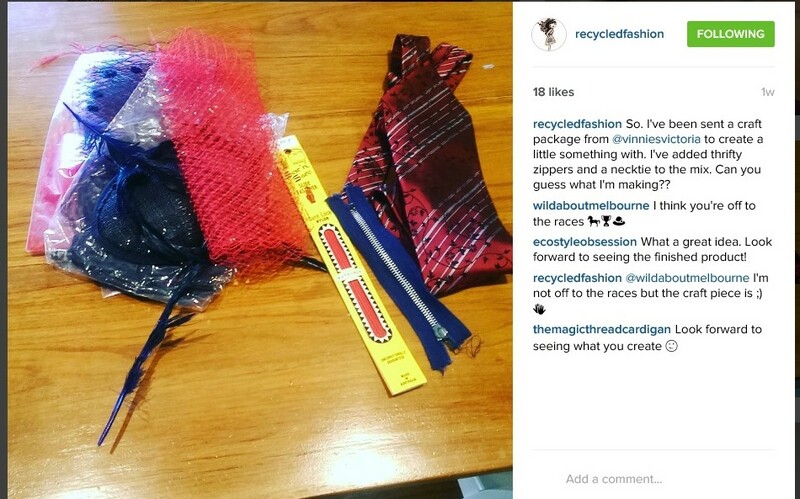 Vinnies, being a chain of stores that sell recycled goods for charity, stipulated that the piece would be recycled. I took on the challenge. Vinnies posted a few bits my way; feathers, netting, hair slides etc. 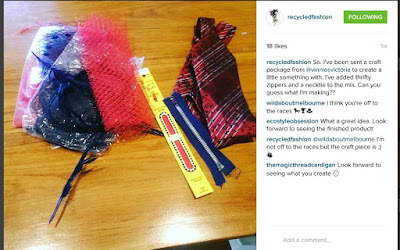 Long time Recycled Fashion readers will know that two of my favourite materials to work with are thrifted men's neckties and zippers, so I popped to my nearest op shop to pick up said bits and pieces. 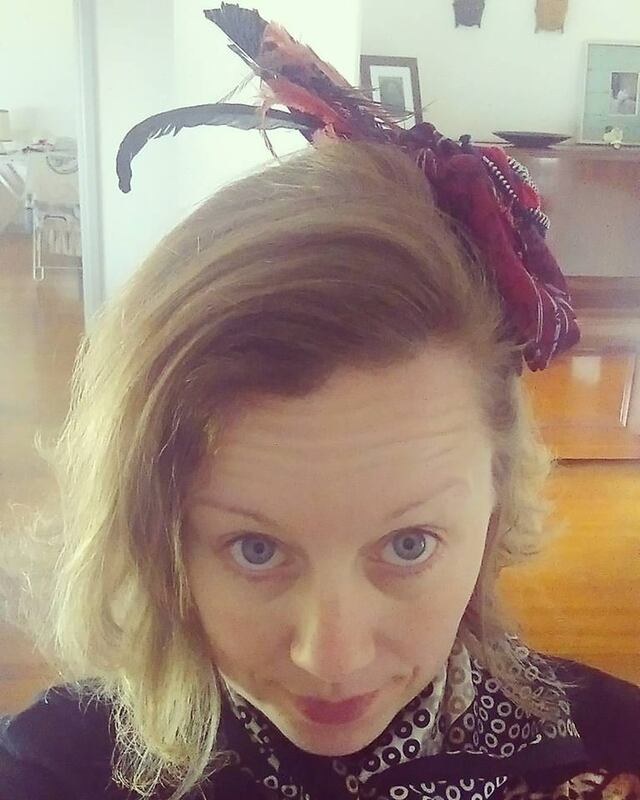 I don't have a step-by-step tutorial, but you can see how I've made a similar necktie headwear piece here. Cinti over at My Poppet made an amazing DIY Spring Racing Carnival Headpiece too, you can see it here. Do you enjoy going to the races? I've lived in Melbourne for 10 years, and have never been. I don't really like the idea of horse racing, but I do enjoy Myer's Fashions on the Field!